To deliver extraordinary compassion, innovative healthcare and customer service, to our community, our patients, and each other, close to home. 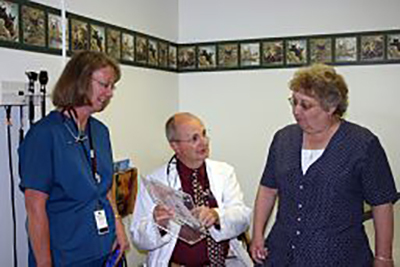 To be the healthcare provider of choice in southwest Wyoming by building a relationship of trust with our communities. Community - supporting, giving and acting to improve where we live, serve, and work. Compassion - concern for the individual, empathy for the situation, action to provide service wherever possible. Innovation - continually seeking the latest advances in cost effective healthcare and customer service. Integrity - doing the right thing; always. Passion for healthcare - fervently, avidly, and zealously seeking the improvement of human health.